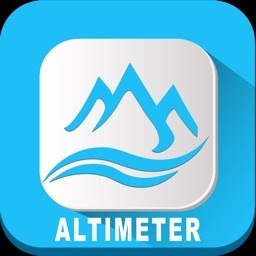 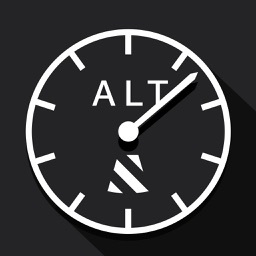 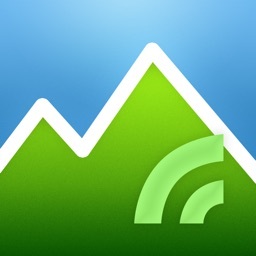 Altitude app is like a paid version of Current Elevation. 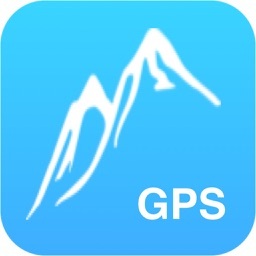 It has a better interface than Current Elevation, but for the limited functionality, we would look elsewhere. 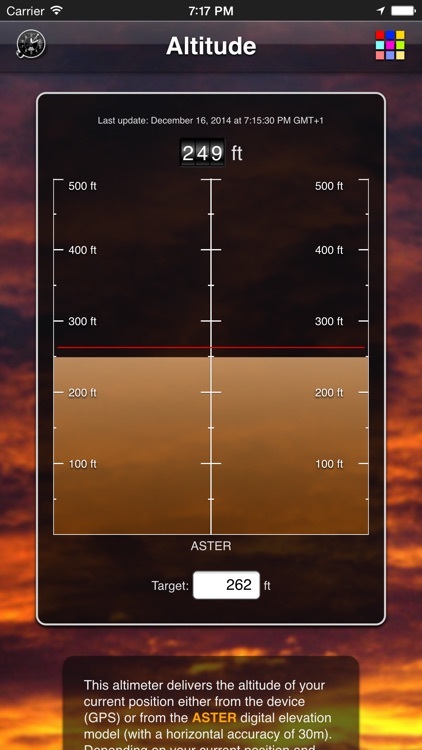 The app simply tells you your current altitude. 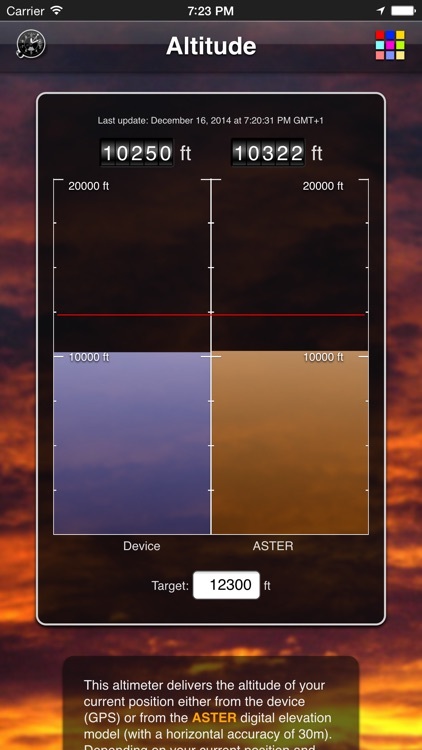 This altimeter delivers the altitude of your current position either from the device (GPS) or from the ASTER digital elevation model (with a horizontal accuracy of 30m). 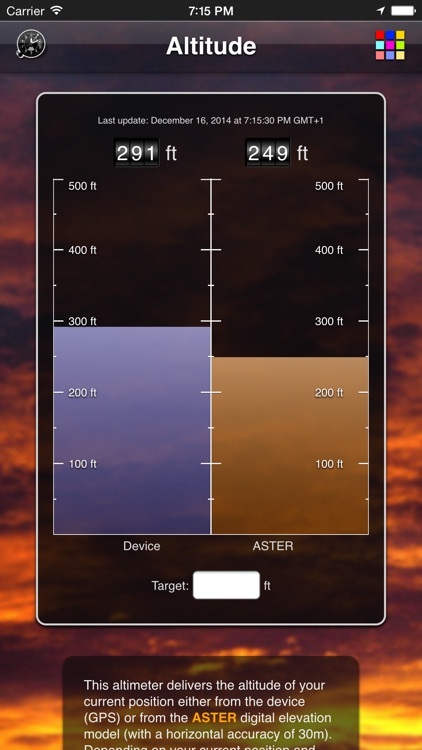 Depending on your current position and your device one of the two methods is more correct. 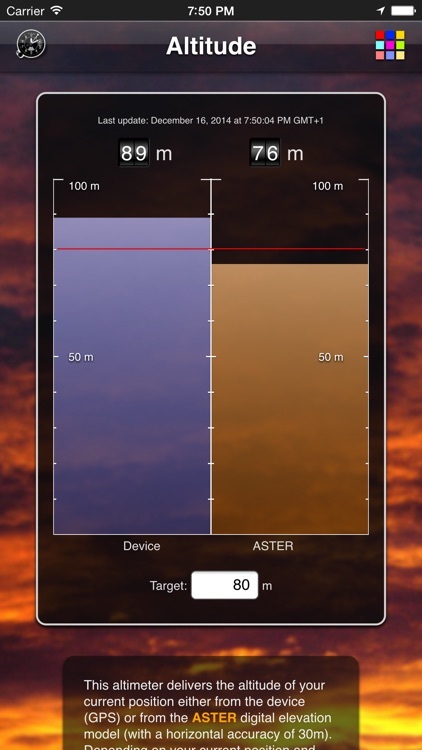 Using GPS on the device is known for a large error in the altitude for difficult receiver conditions it's not available for network based positioning at all. 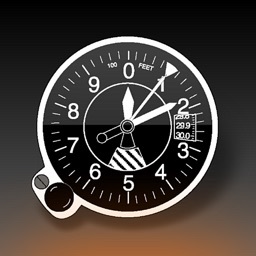 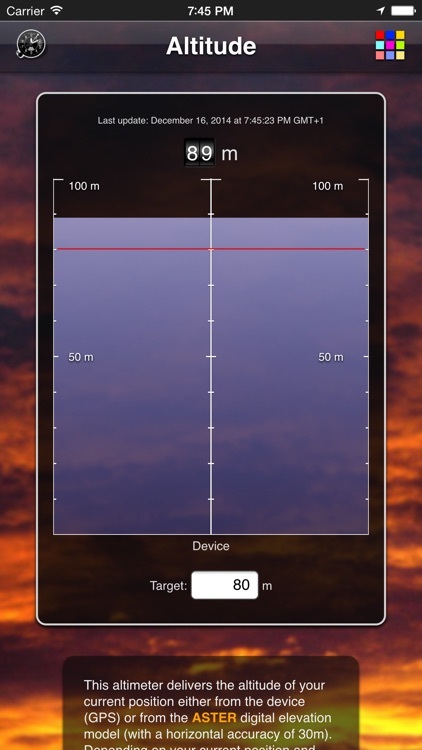 Therefore this altimeter works on iPods and iPhones without a GPS sensor.